The longer lasting tubeless sealant. 4 oz bottle. Orange Seal recommends using 1 - 2 oz. 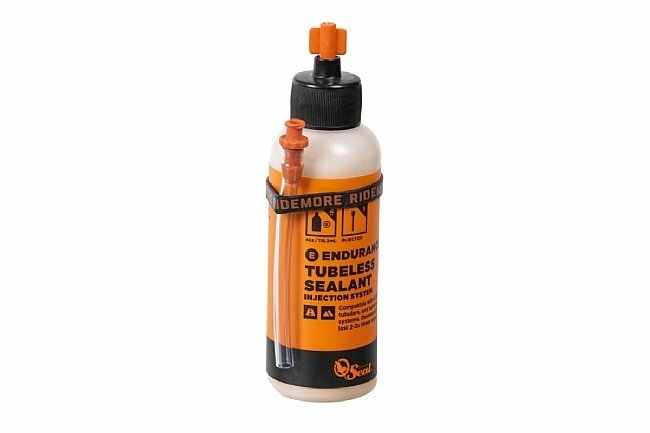 of sealant for use with road tires and 4 oz for 29” MTB tires. Compatible with tubeless tires, inner tubes, and tubular tires. Claimed sealant life averages 60 - 120 days before needing replacement. Great product! Had a 5mm sidewall puncture that sealed up perfectly. Able to still ride on the tire.